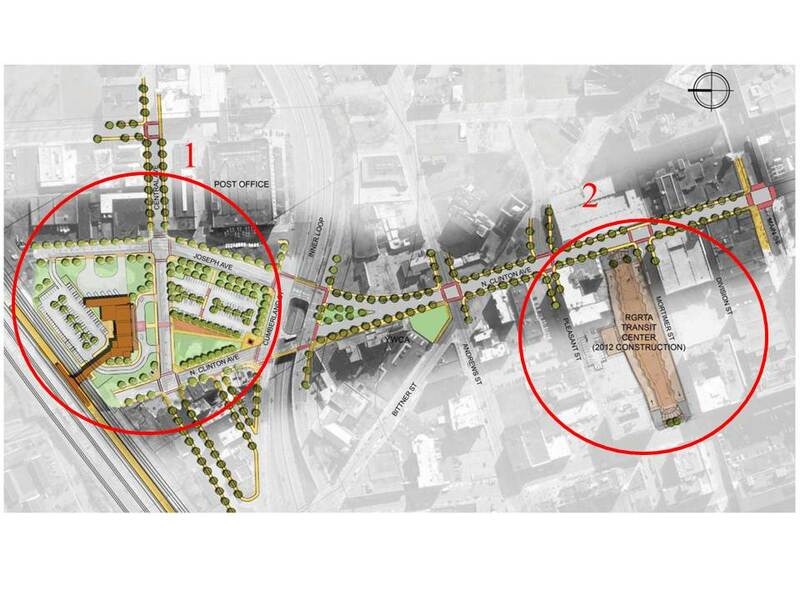 Item #1 is the proposed Rochester Intermodal Transit Facility. It will house a new station for Amtrak, inter-city buses in Phase 2, and eventually high-speed rail. This project was recently funded by a $15,000,000 grant from the federal government. Total budget is in the range of $24,000,000. Item #2 is our regional transit authority’s (Rochester Genesee Regional Transportation Authority, RGRTA) new Mortimer Street Bus Barn. Construction is slated to begin this year. Budget is $52,000,000. This is the measure of our far thinking leaders, as they plan for a sustainable and useable future for our city. Great work, team.